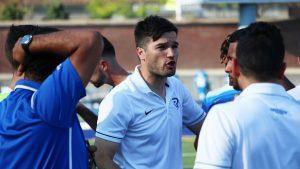 After Ryerson’s men’s soccer team was forced to forfeit its first six games of the 2017 season as a punitive measure for a player’s academic failure, the university’s athletics department has updated its academic eligibility approval process following an internal review. On Thursday, Ryerson director of athletics Ivan Joseph met with the university’s coaches to go through the new eligibility review procedures, which now include a two-tiered system of checks and balances. To practice or participate in any team activities, players must be accepted by the university, complete and hand in any student and immigration visas and forms, have their names on the official team roster, and complete a series of surveys, medical waivers and doping policy forms in order to confirm eligibility. To play in any games, including exhibition matches, the athletes must have their academic statuses confirmed by the athletics department, have proper transfer notices from their previous institutions, possess finished U SPORTS registrations, and complete standard concussion testing. The most notable update to the review policy is that Joseph himself must now sign off on all eligibility declaration certificates. Prior to these changes, the only signatures required were those of the registrar, the respective coach and the athletics administrator. In late September the Rams had to give up their undefeated record, dropping to 2-6-0 once Joseph self-reported a yet-to-be identified player’s academic ineligibility to both Ontario University Athletics (OUA) and U SPORTS. Despite the player’s academic failure, he still suited up for the team’s first six games—five wins and a tie—a mistake made possible by an administrative error, according to Joseph, who immediately took responsibility for the entire debacle. “We’re looking at all the people who handle eligibility to see where we dropped the ball and where the error was made,” Joseph later told The Eyeopener. To protect the player’s personal privacy, Joseph wouldn’t say how his eligibility was compromised, although he did say the department “knows where we messed up.” When asked, he didn’t elaborate further on the error. Rams head coach Filip Prostran has assigned a staff person to check in on eligibility and course procedures on a biweekly basis to ensure due diligence, but he admitted the previous system had flaws. “It probably wasn’t being done as efficiently as it could, and now is a good time to review that and make it better,” he told The Eyeopener before the review was concluded. Joseph said the department will continue to conduct checks throughout the season, although he was unclear when they would occur. Despite the forfeited victories, soccer captain Kyle Stewart says the team isn’t too shaken up. 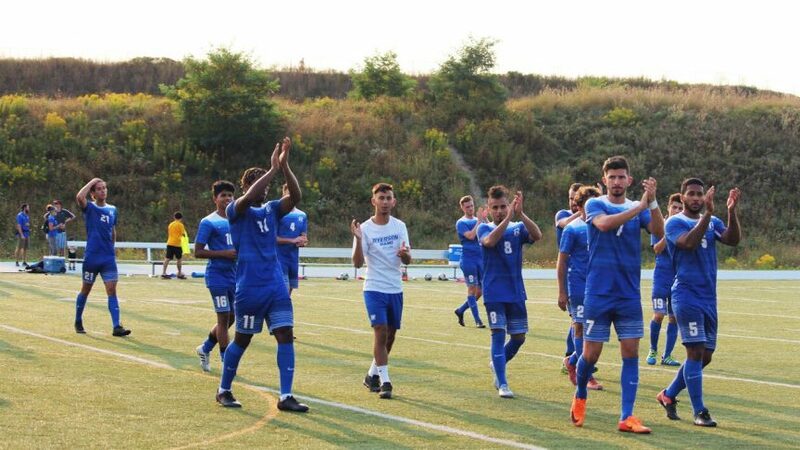 Since the team announced the forfeits, Ryerson has continued to play stellar soccer, tying UofT then trouncing Queen’s and the Royal Military College. “However the season goes, we won’t be known as the quitters,” Stewart added. Prostran says that the team has two options, either to fold and blame any future losses on this incident, or use it as motivation moving forward. “You can’t cry over spilled milk,” the coach quipped. On Saturday, Ryerson will meet up with the Varsity Blues once again, looking to get their fifth win of the season. UofT now sits in second in the East, still undefeated this year. With the team planted firmly in sixth place in the OUA East, the Rams need to climb up three seeds to get in the playoff picture. Ryerson is down, but not yet out. “One of our team’s mantras is to make lemonade,” said Stewart.